Move in Ready! Price includes extensive upgrades ALREADY INSTALLED - what you see is what you~ll be thrilled to get! Beautiful sun-filled home on a wonderfully located lot, this home features a soaring great room and open concept living area with upgraded hardwood flooring. The gourmet kitchen features an oversized island with bar seating, custom lighting, high-end appliances, ceramic backsplash, and upgraded granite countertops. Beyond the kitchen is a spacious pantry, a large storage area, laundry room with cabinets (more storage!) and utility sink, leading to an oversized 2-car garage with plenty of storage. The main-floor master suite includes an adjacent roomy study/parlor, plus upgraded carpeting, two large walk-in closets, a luxurious bathroom with upgraded ceramic tile floor, granite topped double sink, luxurious whirlpool bath, and a beautiful tiled shower with seat. The second floor bedroom suite with full bath and very roomy loft provides complete privacy for visitors or a perfect spot for watching the game or relaxing with a good book. Plus even more storage! Less than two years old, this home offers all the joys of new construction without the hassles, unexpected headaches and rising costs! Upgrades include gourmet appliances, 42~ cabinetry, hardwood flooring, lighted ceiling fans, undercounter lighting, upgraded alarm system, whole-house sound system, and much more! 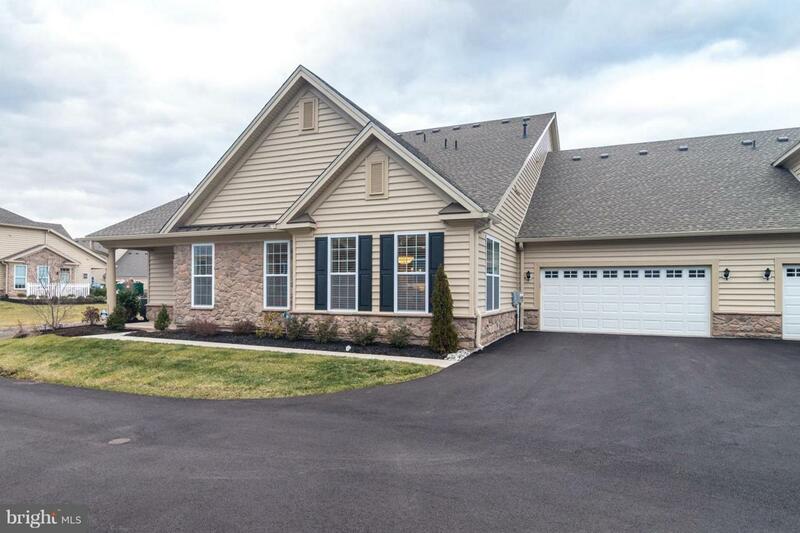 Virtually maintenance free, the home's community services include year-round lawn maintenance, trash pickup, and snow removal (all the way to the front door and garage door! ), not to mention unlimited membership to the award-winning 11,000 square foot clubhouse with state-of-the-art fitness center, billiards room, kitchen, outdoor swimming pool, walking trail, tennis, pickle ball and bocce courts, and much more! 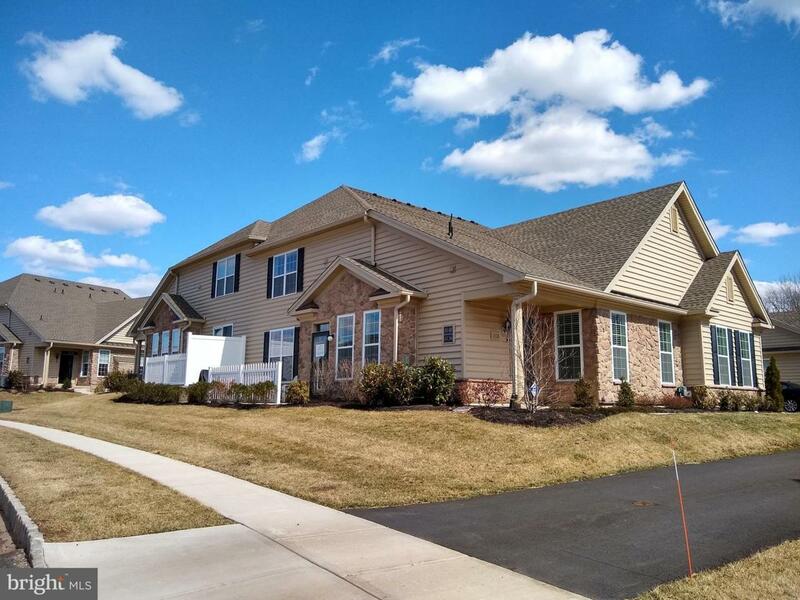 This (soon-to-be gated) community is centrally located in desirable Bucks County, just ten minutes to Nockamixon State Park or Doylestown's theaters and restaurants, with easy commutes to both New York City and Philadelphia.